At present an individual can pay up to £40,000 a year into a pension fund and obtain tax relief until 75, subject to having sufficient relevant earnings against which to set the contributions. 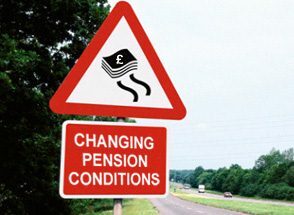 After 5 April, this will reduce to £10,000 a year in respect of money purchase pension contributions, once the individual has dipped into the pension pot and taken a flexible income payment. However, if no income has been taken before that date, the £40,000 limit will apply until income has been taken from the fund, after which it will reduce to £10,000. The exception to this is for those over 55 before 6 April 2015 who have previously placed funds into capped draw-down even if no income has been taken. These individuals will retain the £40,000 limit as long as income withdrawals remain within the capped draw-down limit. The reduction in the limit to £10,000 could severely limit your ability to build a significant pension fund and be costly in lost income tax or inheritance tax relief. If you will be older than 55 at 6 April 2015 you should consider placing some pension funds into capped draw-down now. This will retain your option to access limited income (i.e. within the capped draw-down limits) from the pension after 5 April 2015 without reducing your annual allowance to £10,000. With the added advantage of flexible access and transfers to the next generation free of tax at the point of transfer, the use of pension funds for income and inheritance tax planning will increase and contributions exceeding the £10,000 limit may be needed to optimise tax planning. Farmers for example, have volatile earnings during their pensionable years. You could have a situation where dipping into the pension to supplement income could be beneficial in leaner or loss-making years. Making pension contributions in profitable years to offset higher rate tax could be attractive but could be restricted to the £10,000 limit if action is not taken now. Plan ahead now and make a one-off fund designation into capped draw down before 6 April and there will be no reduction in the contribution limit from £40,000 provided withdrawals from the pension fund remain at the capped draw down limits. This would provide significant tax planning advantages when otherwise dipping into your pension pot would restrict future pension contributions to £10,000 per year.